Our recent holiday saw us head off on a spooky Halloween half term, Dracula themed city break to Cluj-Napoca, Transylvania. 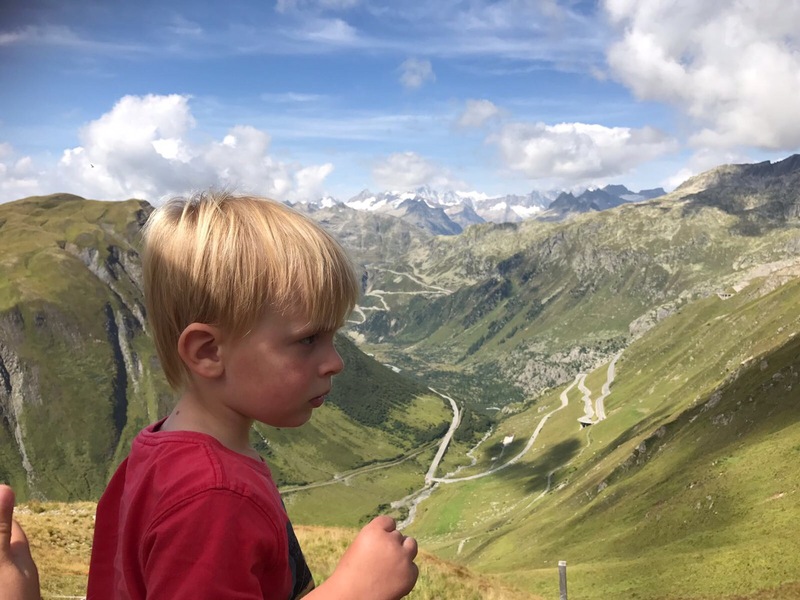 A strange destination some might say, lets face it Romania probably isn’t at the top of everyone’s must see destinations list, but as always it’s about doing something different and making it an adventure for the boys. 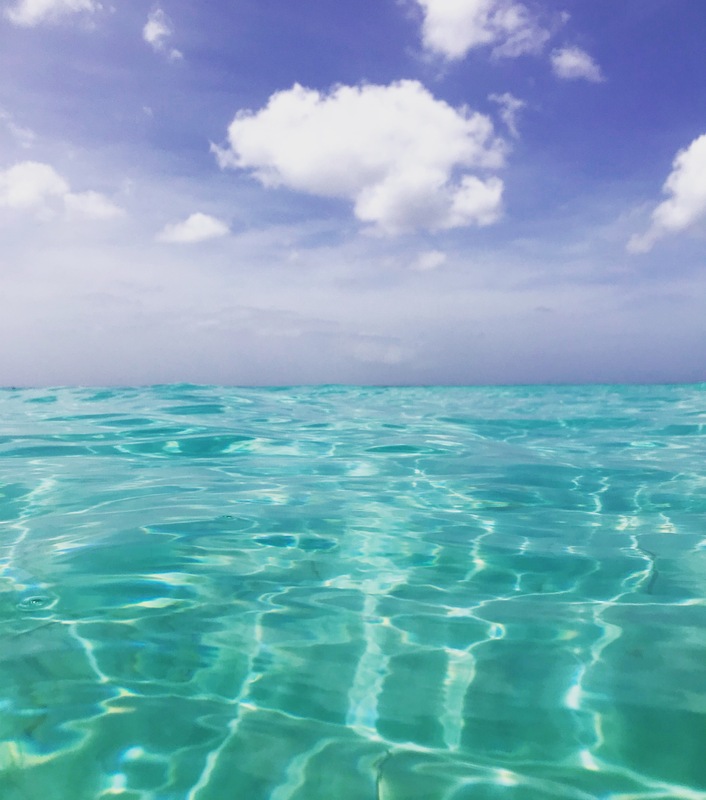 It’s also important to me that the boys have a realistic view of the world, not everywhere looks like the Bahamas or Maldives and not everyone in the world lives life the way we do. As with any trip the boys go on, especially as far as Chester is concerned the preparation starts a long time before, so by the time we arrived in Romania my research had been done. I looked at the local hospital and specialist centres “Just Incase” and read reports that they probably aren’t the best or cleanest hospitals around, but having identified there was a CF community I was hopeful if anything went wrong, someone, somewhere would know something about CF and in the absolute worst case, we were only there on a short break and could easily get a flight home quickly if needed. It wasn’t until we arrived with his bag full of medical supplies and expensive equipment and I saw just how poor some areas looked that it really sunk in just how lucky we really are, and just how lucky Chester is to have been born in a country such as ours. As we were being transferred from the airport to collect our hire car the driver mentioned a visit to a “Salt mine” is a must while in Cluj. I must admit I didn’t think about it again, a Salt mine just didn’t seem interesting or appeal to me in any way and as soon as I hear mine or cave, I instantly think pseudomonas and that’s enough to put me off. It wasn’t until we had been around the city looking at the beautiful buildings and monuments in the old town, but also looking on in sheer horror at the state of the concrete tower blocks that make up the majority of the City that we wondered what else we could do in event of bad weather. 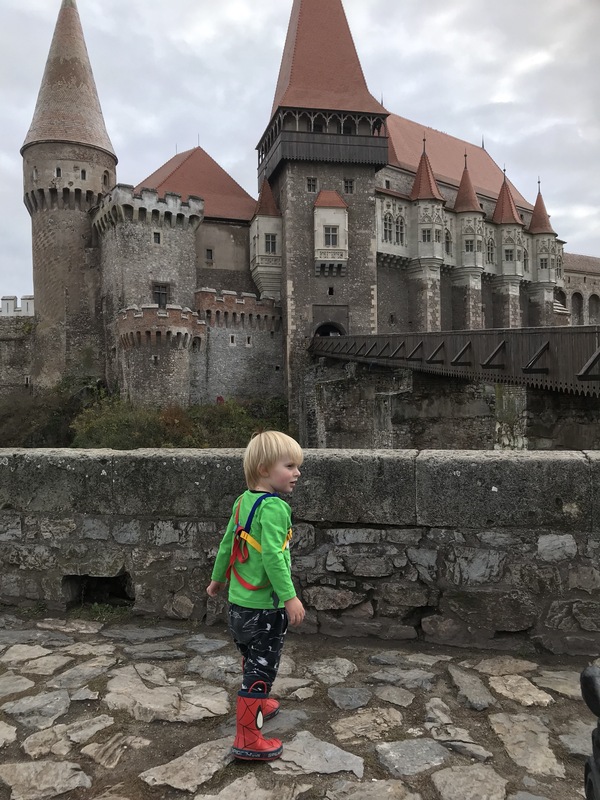 We had already decided that Corvinus Castle was a must for any boys on a Vampire hunt. A trip we were not disappointed by, especially Oakley who was amazed at finding some “blood” (Heinz tomato soup looking substance) on the stairs which only added to his fascination of vampires and bats and not forgetting the ‘Witches birds’(crows). 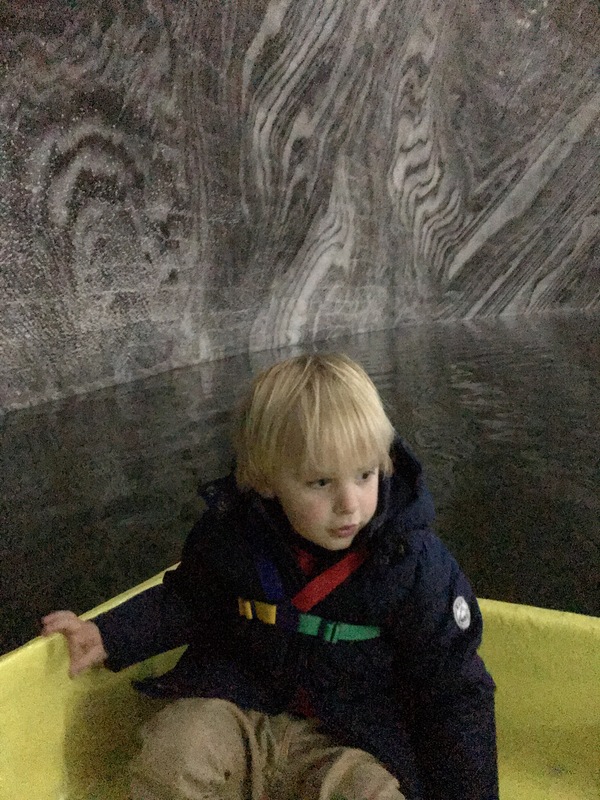 We knew rain was forecast so we decided we would think about the salt mine, I was anxious at the fact it was below ground, damp and dark and worried that it wasn’t a planned activity that I had done research on, if I’m honest I was out of my comfort zone as far as CF goes. With Chesters track record of growing Pseudomonas it seemed like the worst place we could take him. I emailed his consultant who said the trip would be ok, and then I started to look further into Pseudomonas and CF in general in Romania. I was horrified to read that 50 per cent of children diagnosed with CF don’t survive to make it into adulthood, it angered me that in this day and age with precision medicines and treatments that half the CF population in this country would never become adults. It made me genuinely grateful that we have such a good health service and that Chester has the ability to do what half their CF population doesn’t. I was also unnerved by the fact there is a high Pseudomonas rate amongst their CF population. This set me off questioning myself about whether or not the Salt mine would be a good idea. I hated myself for questioning the Doctors, I was angry that CF was having such a huge impact on our plans and I was sad at what I had read, I couldn’t stop thinking about how lucky Chester really is and I couldn’t help but worry about this decision. 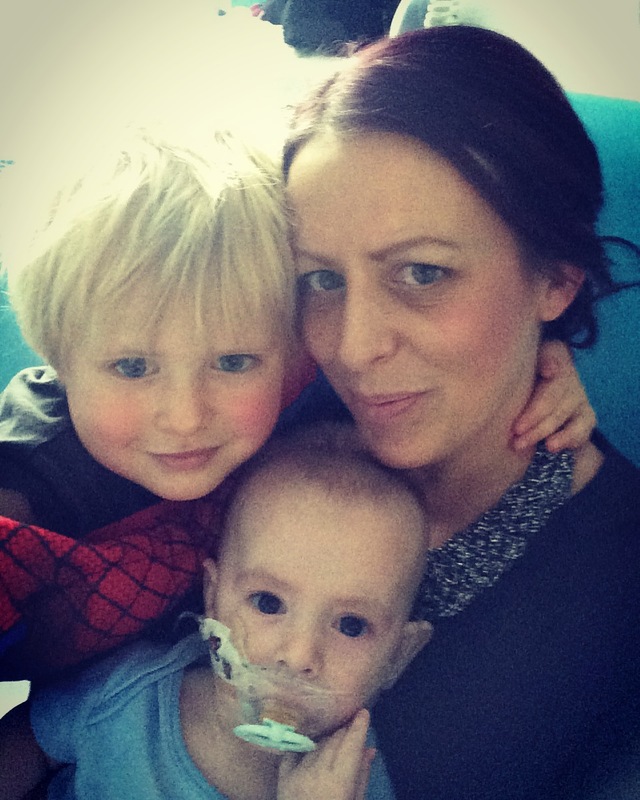 The majority of decisions we face as CF parents impacts on our children’s health in later life, it makes me feel sick most of the time, but with most decisions I make, I have to weigh up the risk versus his quality of life and not forgetting Oakley and his need to experience different things. 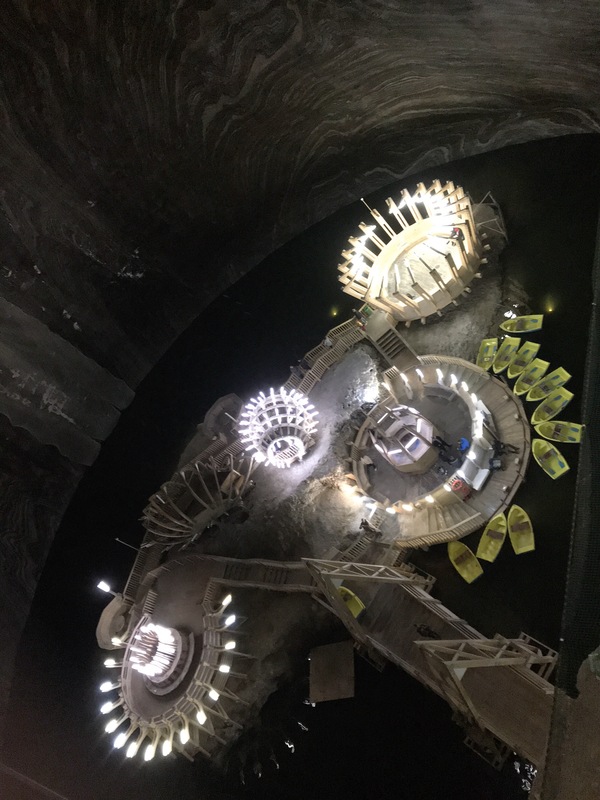 The more research I did into the Salt mine at Turda the more I read about it’s positive effects of those suffering with respiratory illness such as Asthma, COPD and CF, there is even a clinic where treatments can be booked. This was great news but then it set me off thinking about cross infection and the high Pseudomonas rate, I always seem to overthink, but mainly when Pseudomonas is the risk. After thinking about it non-stop for almost a day, and weighing up the pros and cons we decided that not only would it be an amazing experience, after all there was a Ferris wheel at the bottom of this mine as well as rowing boats, but we knew it was probably the only time we would visit this area. 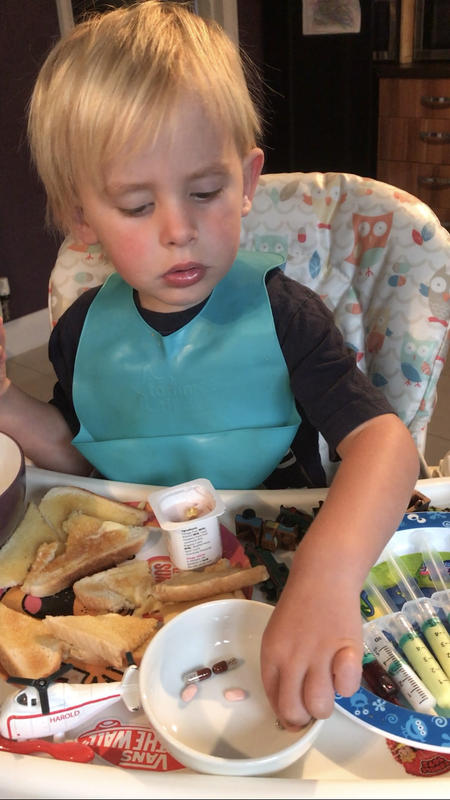 I know if he’s caught Pseudomonas again I’ll blame myself and feel like utter crap, but looking further into it, he’s more likely to have caught it from another child with CF than from the mine because the mine most certainly was too cold for a bug like Pseudomonas. I managed to keep Chester in a rowing boat without the need to shout man overboard and it was a fantastic experience that they both loved, that was until they were outside rubbing their eyes with salty hands. Feeling guilty for needing a break. As I sit here in the sweltering heat of the Caribbean (not boasting……Well ok, maybe just a little) having just finished my book ‘A son for tomorrow’ by Alice Peterson based around the life and death of Alice Martineau, a singer who lost her battle with CF, a book that has taken me some time to pluck up the courage to read, I would be lying if I said I’m not thinking about Chester and his Cystic Fibrosis. Wondering where his story will lead him, will he have a wife? children? Will he lead a life that allows him the freedom to travel as we have done? What will his chosen career path be? Will he ever see a life without CF? I wonder if he will resent being called brave or inspirational as Alice did? If his CF will cause him to be as driven and determined as Alice was. I already see so much fight in him I find it hard to imagine that he wouldn’t have her determination to succeed. Life for anyone is uncertain, we never truly know what is in store for each of us but for Chester, we know only too well what could potentially be in store for him. I feel guilty sat here on holiday without my boys, even more so that I felt I needed a break from being “Mummy” and a break from CF, especially when I know full well that is something that just isn’t on the cards for Chester, he doesn’t get a break from it; so I do feel incredibly selfish for needing this time away. I felt odd packing my suitcase, a ritual I am more than used to doing, but this time I found it odd that it took little more than half an hour and I was fully packed and ready to go. 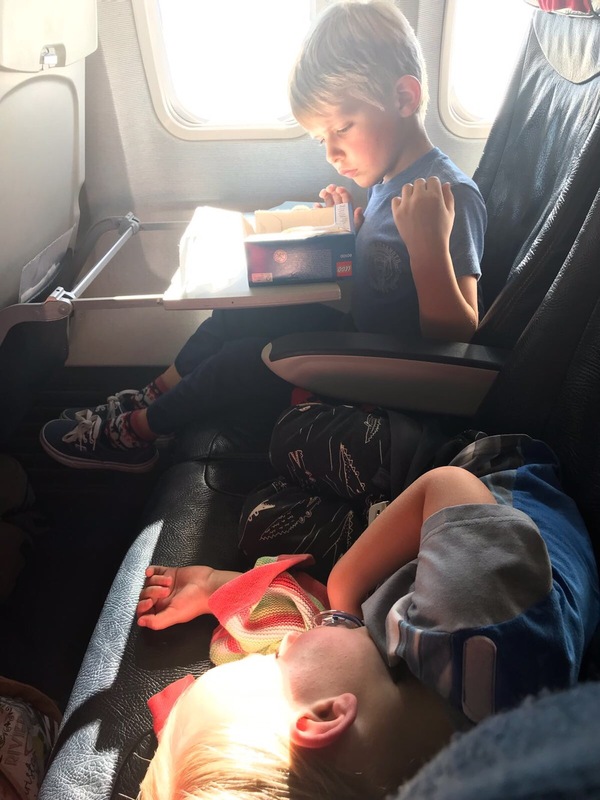 No need to consider fridge packs, face masks, hand luggage, meds, Physio equipment and not forgetting snacks and toys to aid in occupying kids on the journey. 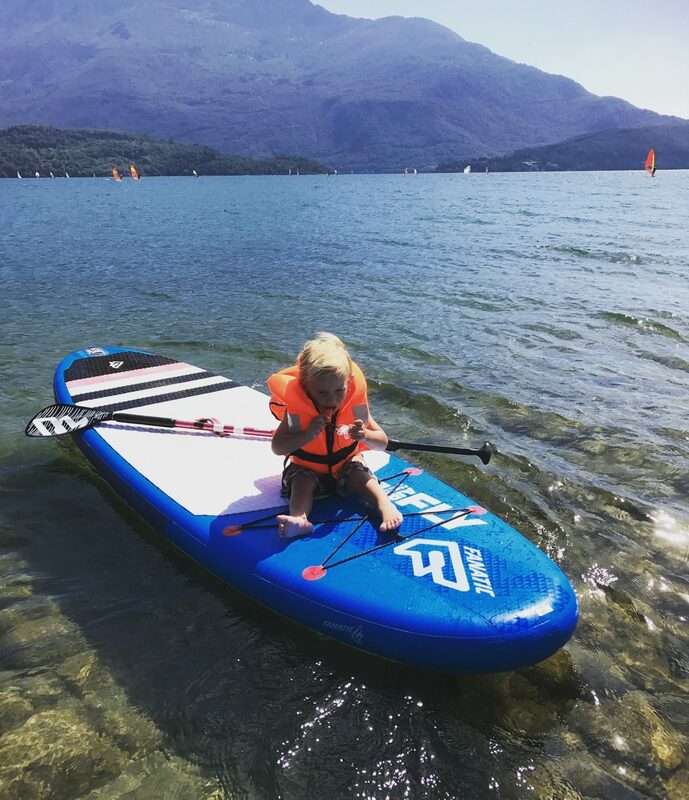 I watch kids playing in the turquoise waters, seemingly carefree, being careful not to assume all is perfectly well and “normal” as many watching us may do; oblivious to the fact our child is always fighting on the inside. 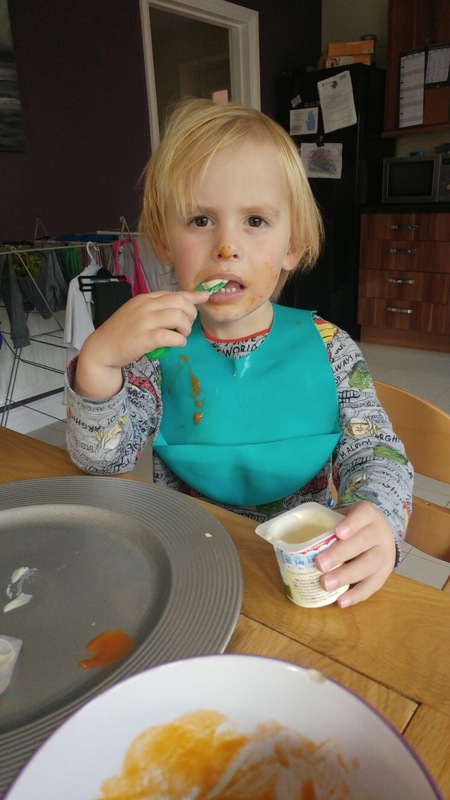 I find myself not jealous but perhaps envious watching small children help themselves to ice-cream from the all you can eat buffet not having to worry about taking a handful of pills with it. I wonder what life would have been like if CF hadn’t entered it. How easy would it be? One thing is for sure, I wouldn’t have met the lovely ladies I now call my best friends, and I can’t imagine not having them in my life. I probably wouldn’t appreciate the beauty of life like I do now. I would probably be far less appreciative of time, knowing now that a lot more can be forged into one day than one would think. Most importantly I don’t think I would ever appreciate something as simple as the ability to take a breath and fill my lungs with fresh air like I do now. I often wonder if Chester would be the same without CF, would he still be as cheeky and mischievous, would he be as strong-willed and most importantly would he still be as brave? All pointless things to be thinking about, but something I think about all the same. Sitting here I am missing my boys, always worrying in case something happens and I am not there with them, I find myself trying to occupy my wandering mind, being so used to being constantly on the go makes it difficult to sit and actually do nothing, and I find myself already planning the next family adventure, if there’s one thing that I can be sure of and have control over, it’s being sure to make the most of life and live for the now. I don’t want any room for regrets and I certainly don’t want to ever say CF held Chester back. “But he looks so well”, something every CF parent will have heard numerous times when telling people their child has CF. It’s one of the most frustrating things I hear, because children with this invisible condition don’t look any different, but as I have said before looks can be very deceiving. Yesterday during Chester’s annual review clinic, for the first time I uttered very similar words “But he’s been so well”. I have said it many times before that one of the hardest things about CF is not being able to see what is going on inside and not being able to see what damage that is being done. So yesterday when I was told that despite sticking rigidly to Chester’s treatment plan with physio, meds and exercise, his recent bronchoscopy showed an extremely large amount of secretions in his lungs. I honestly felt like I had been kicked in the stomach, like they would be questioning whether or not I actually do his treatments and like everything we had been doing was not enough and that I should have been doing more. I know deep down I haven’t, but I honestly do feel like I have let Chester down in some way, I am the one trusted with his care and yet here we are with this news. When Chester had his first Bronchoscopy last year post pseudomonas eradication treatment, in true Chester style, he was further diagnosed with another condition called “tracheomalacia” which is more commonly known as a “floppy windpipe”, this is where the windpipe collapses, and in Chester’s case it is severe, collapsing by around 80% which is why his breathing can appear noisy, a little like a 40 a day smoker. It is beilieved that this condition has most likely been the culprit in the pseudomonas growths. With his windpipe the way it is, despite chest percussion physio Chester is not physically able to clear the secretions which in turn allows bugs to settle and grow and for secretions to build up clogging is lungs. The team have come up with a plan to trial a clearway ventilator machine which will blow air into Chester’s airways to open them up and allow him to move the secretions easier. This machine is incredibly expensive so will be on loan to trial it first before purchasing to ensure it works for him. They have made the decision to keep him on nebulised antibiotics which I was a little gutted about purely for selfish reasons that it adds another hour or so into our already packed schedule. They have also noticed that when asleep, Chester’s oxygen saturation drops significantly and they believe this also to be caused by the floppy windpipe; this may be when Chester has been more susceptible to growing pseudomonas. He will be admitted to undergo a sleep analysis and dependant on the results he may need to be ventilated on a machine overnight to increase his oxygen levels. 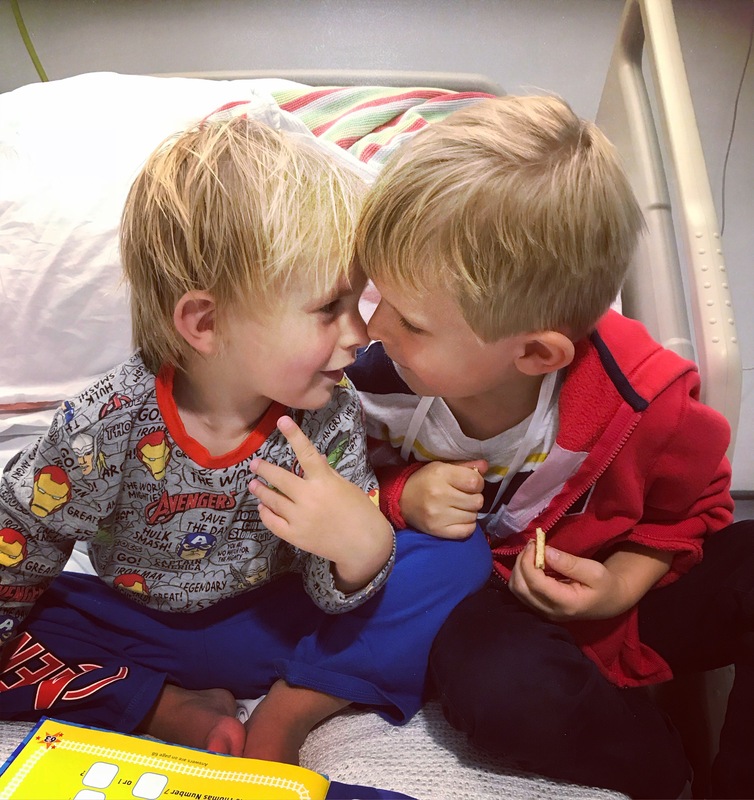 In comparison to Chester’s first year where we spent so much time in hospital with various chest infections, this last year was remarkably better with no admissions because he was “unwell” only admissions to treat pseudomonas. In the past 12 months Chester has only required the use of back up antibiotics where we increase his prophylactic antibiotic and add another antibiotic to help beat infection once. This was an achievement for us and I took this to be a good sign, things were starting to get easier, less meds and equipment to take with us on our travels, and now I feel like we may actually never leave the house with all the added kit and meds we are now on. I was left a little shell shocked by yesterday’s review and angry that CF is doing this to Chester, I hate that I feel completely out of control and that I am powerless to stop it. I should be able to help him, but I can’t, and it’s the most awful feeling. I can’t help but think that he is too young to have so many complications and I have found myself thinking about what the future holds for him. I found myself thinking the absolute worst, I started to think about all the younger CF children I have seen lose their battle just in the short space I have been a CF parent and it is terrifying. 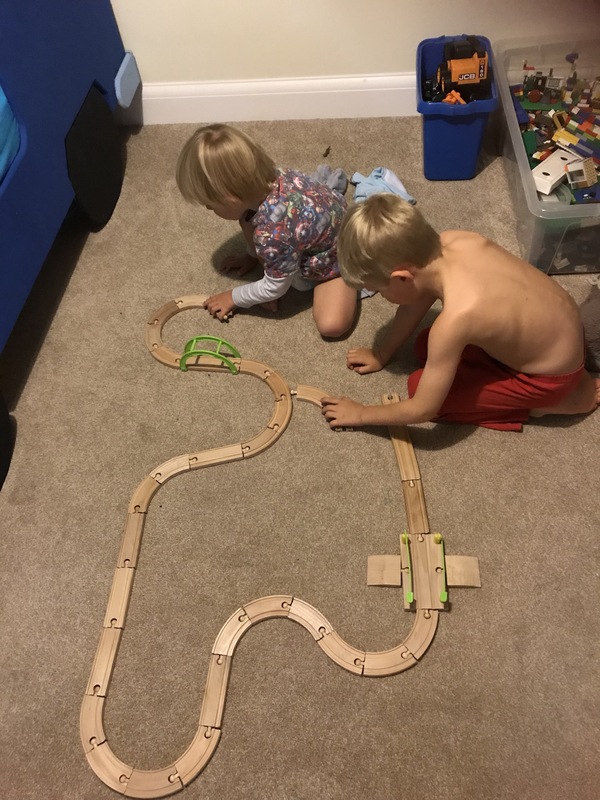 Last night I sat watching both boys playing together on the floor with their train set, both oblivious to the news I had been given, I had word with myself about feeling so down and realised I had to put my heartbreak to one side partly because I would hate for the boys to see me so broken, but also because I am determined that if Chester can pick himself up, smile and get on with it despite everything he goes through, then I have to man up and carry on as well. Yesterday was a blow and it doesn’t matter how hard it gets, I have to stay positive, I need to show the boys nothing has changed and I need to carry on helping Chester fight the fight. This boy has had so much thrown at him and CF is much becoming the gift that keeps on giving, it doesn’t matter to Chester though, to him this is normal life, he knows nothing different and no matter how difficult the circumstances he always manages to smile and more often than not blow a kiss.